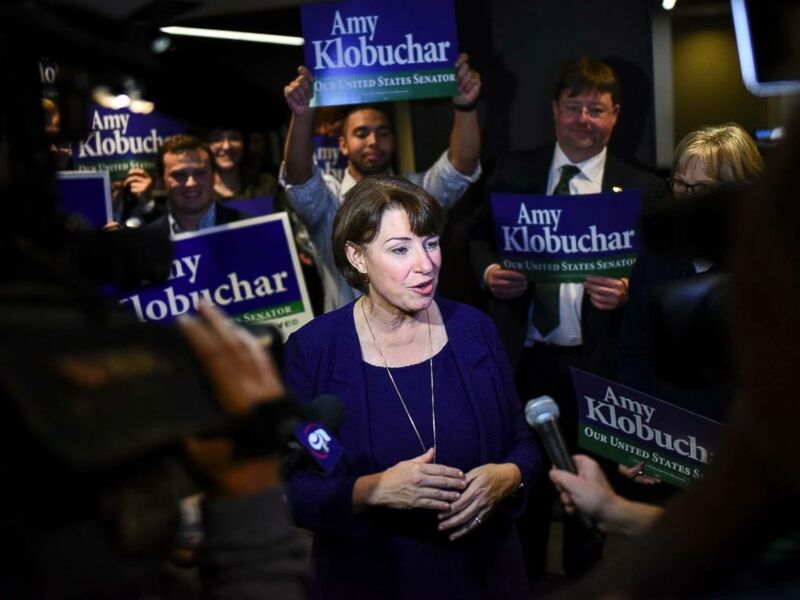 Sen. Amy Klobuchar speaks to the media after she arrives at the Intercontinental Hotel for DFL headquarters election night party Tuesday, Nov. 6, 2018, in St. Paul, Minn. 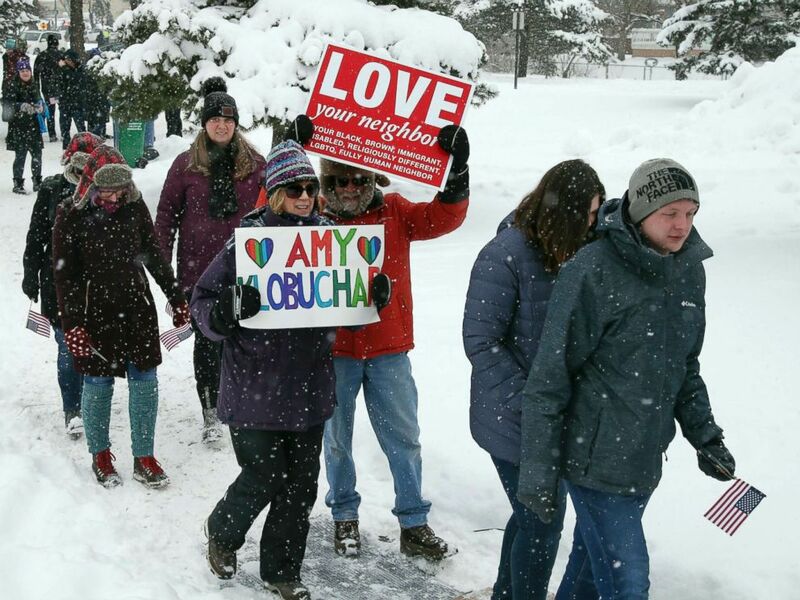 Snow falls as rally goers arrive at Boom Island Park for Democratic Sen. Amy Klobuchar's announcement of her decision in the race for president at a rally, Feb. 10, 2019, in Minneapolis. 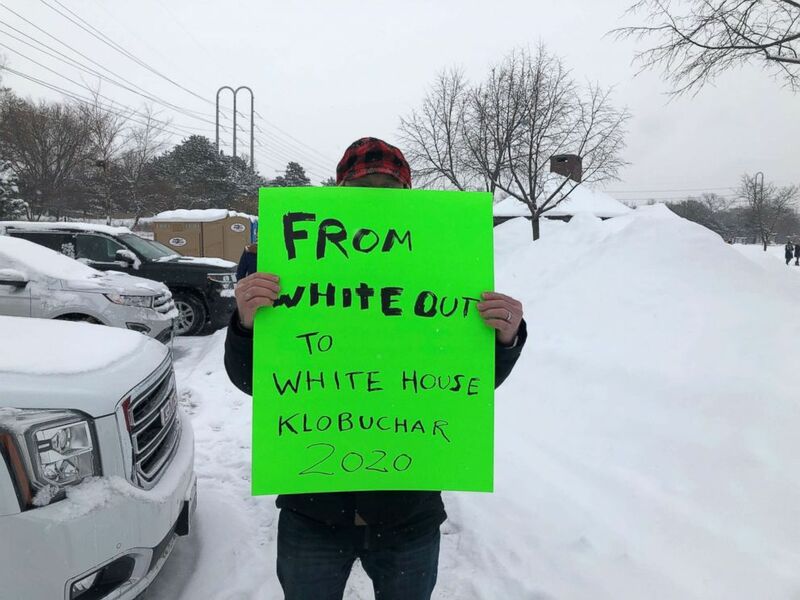 Supporters in Minnesota arrived in droves as Sen. Amy Klobuchar announced her candidacy for president of the United States. Feb. 10, 2019.